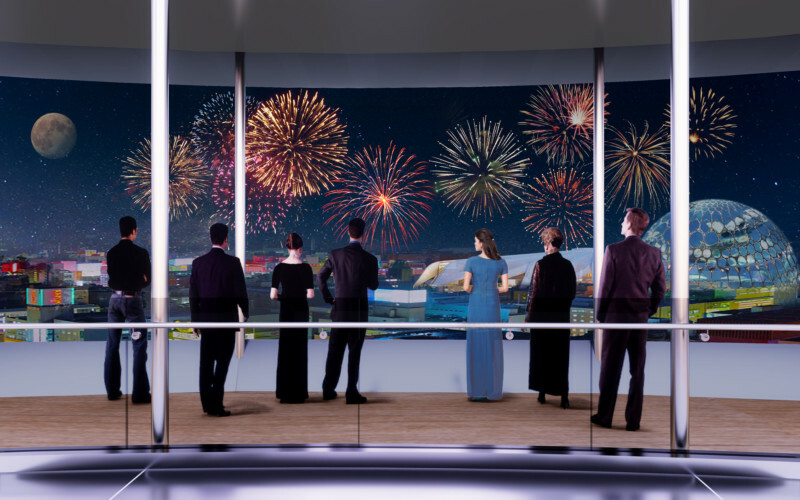 While the official opening of the U.S. pavilion at Expo 2020 Dubai -the next World’s Fair- on October 20, 2020 feels far away, Pavilion USA 2020, the partnership responsible for the United States’ National Pavilion, has been making important headway in the design and planning of the landmark building destined to represent more than 325 million Americans. A day after the fifth anniversary of Dubai being named host city for Expo 2020, the initial plans for the building and its experiences were released at a ceremony in Dubai on November 28th. The event featured the unveiling of an architectural model of the U.S. pavilion, designed by world-renowned American architect Curtis W. Fentress, FAIA, RIBA; and a tour of the American experiences currently being designed by Detroit-based design firm George P. Johnson Experiential Marketing. Pavilion USA 2020 leadership along with Krista Pilot, Vice President of Corporate Affairs for Asia, Middle East & North Africa from PepsiCo also announced that the 120-year-old New York-based company, known globally for its food and beverage products, will be a lead sponsor and Official Beverage partner of Pavilion USA 2020. 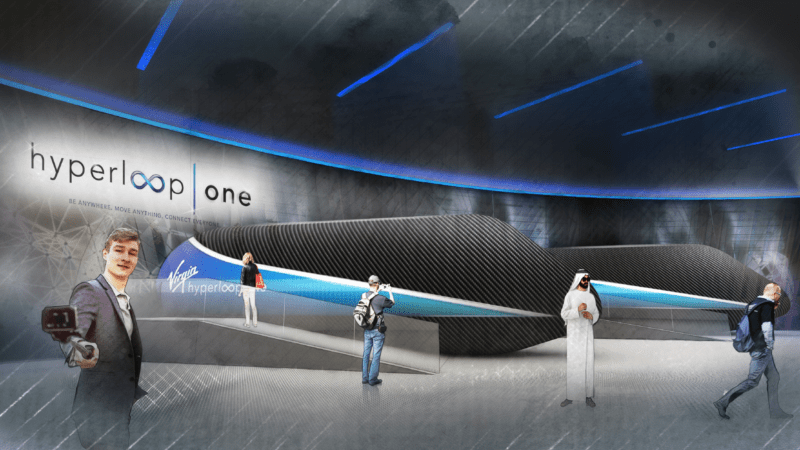 At the conclusion of the event, Pavilion USA 2020 announced its official partnership with California-based Virgin Hyperloop One, which will premiere its Hyperloop ride experience at the U.S. pavilion. 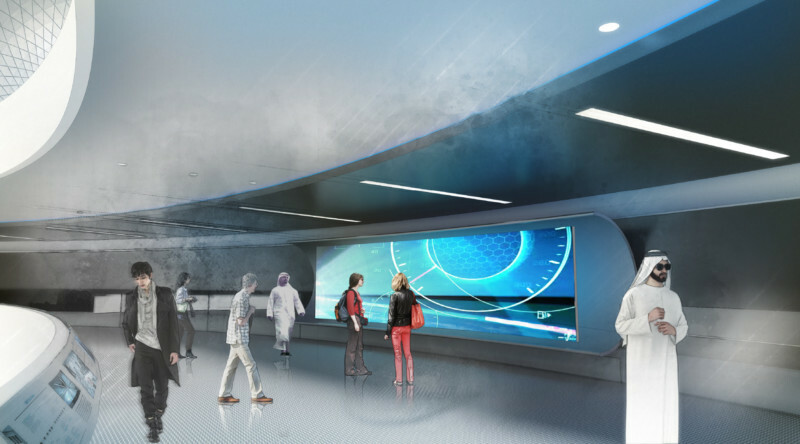 This first experience reveal marks the beginning of a multi-year global engagement campaign that will spotlight the innovations showcased at the U.S. pavilion in preparation for its opening in October 2020. Pavilion USA 2020 is a consortium of leading U.S. architecture, experiential, communications, public diplomacy, academic, financial management, and fundraising firms who have come together to fund, design, build, operate, and decommission the U.S. pavilion at Expo 2020 Dubai. 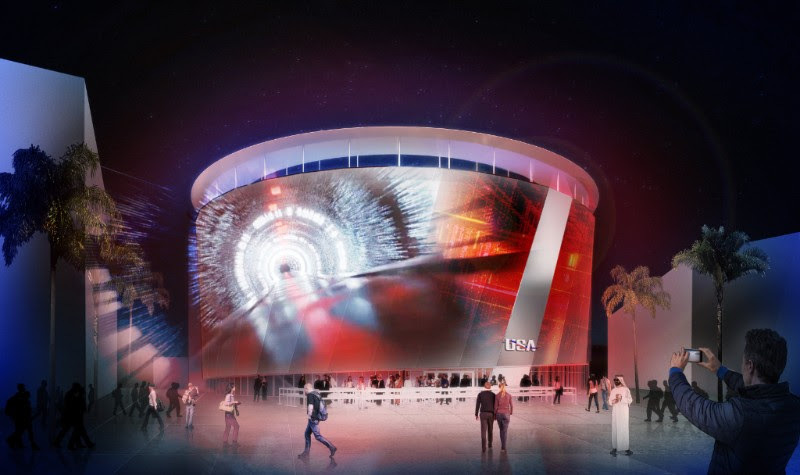 It was selected by the U.S. Department of State to implement the U.S. pavilion at Expo 2020 Dubai following a competitive nation-wide request for proposal process. 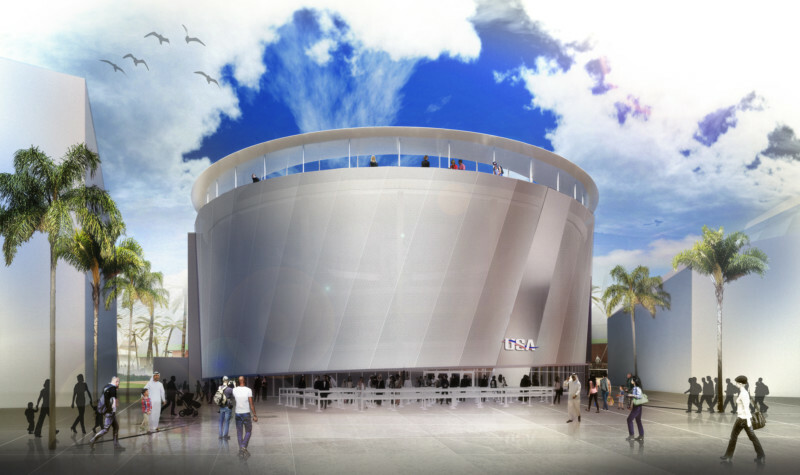 This multi-year public-private partnership will bring the U.S. pavilion to life, a huge undertaking that will require the collaboration of its creative, commercial, and cultural partners from across all the United States and its territories. For further details about Pavilion USA 2020, visit www.pavilion2020.org. For more information about the U.S. participation in World’s Fairs, including Expo 2020 Dubai, visit www.state.gov/r/expo/. For information on Expo 2020 Dubai visit expo2020dubai.ae. Pavilion USA 2020 is a public-private partnership of leading US architecture, experiential, communications, public diplomacy, academic, financial management, and fundraising firms who have come together to design and operate the U.S. pavilion at Expo 2020 Dubai. More information www.pavilion2020.org. Leadership and Fundraising will be led by Big Things Group (BTG) and its principals The Honorable Frederick M. Bush, who served as Commissioner General of the 1992 World’s Fair in Seville, Spain; and Gregory D. Houston, a leading figure in international public diplomacy and public-private partnership development. Combined, Mr. Bush and Mr. Houston have raised more than $1 billion in funding and sponsorship for domestic and international projects, with a focus on major events that develop stronger ties between the U.S. and the world. BTG’s network of associates include leading fundraisers and philanthropic consultants in nearly all major donor markets throughout the United States as well as numerous funding centers abroad. 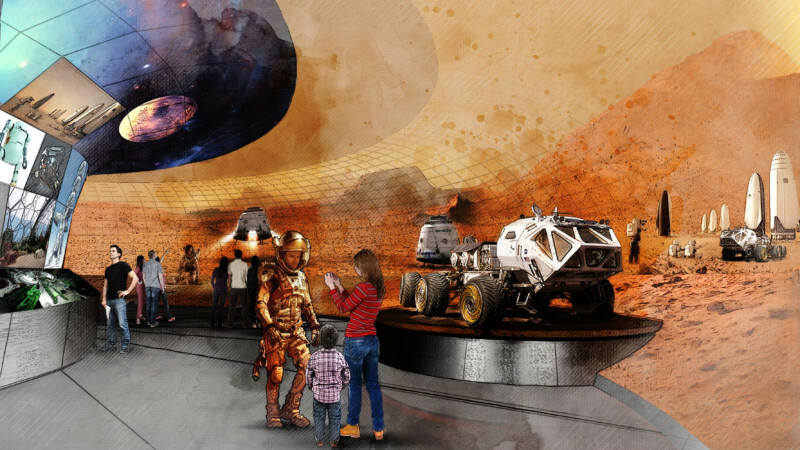 Exhibit and Experience Design will be created by Michigan-based George P. Johnson Experience Marketing (GPJ), the largest experiential and event marketing agency in the world. Founded more than 100 years ago in Detroit, GPJ’s large-scale installation work includes a six-acre multifaceted Chrysler experience at the 1964 World’s Fair New York, pavilions at the Shanghai and Aichi World Expos, and award-winning exhibitions at the Beijing, Salt Lake City, London, and Rio de Janeiro Olympic games. They will work in collaboration with Action Impact, their Dubai-based strategic partner that created the Expo 2020 Dubai exhibition within the U.A.E. pavilion at Expo 2015. They will also collaborate with fellow Project Worldwide sister agency Spinifex Group for the production of interactive experiences that bring mobility innovation stories to life. GPJ’s work will be led by Senior Vice President of Pavilion Activations, David Rich, and Vice President and Executive Creative Director, Paul Hemsworth. Cultural Programming will be led by Global Ties U.S., which has a 60-year partnership with the U.S. Department of State to coordinate international exchange programs that attract over 5,000 current and future leaders to the United States annually. With chapters of citizen diplomats in over 80 U.S. cities, their reach will ensure the U.S. pavilion reflects the creativity, diversity, and nuance of every part of the United States. Global Ties U.S. will also be supported by G7 Entertainment Marketing in the areas of celebrity talent coordination and on-site production of all performances. Pavilion Design Strategy & Monitoring and Evaluation will be supported via consultation by Dr. Jay Wang, Director of the Center on Public Diplomacy at the University of Southern California (CPD). Dr. Wang is considered the leading academic expert in the design of Expo pavilions for country promotion purposes and has written extensively on strategy and implementation within past Expos. As a strategic partner and a recognized leader in the field of public diplomacy, CPD will contribute to the project by providing research and evaluation tools to the designers, and public diplomacy training to all staff, volunteers, and ambassador-guides. Student and Alumni Ambassador Programs will be managed through the combined efforts of Global Ties U.S., the USC Center on Public Diplomacy, and local partners in the United Arab Emirates. 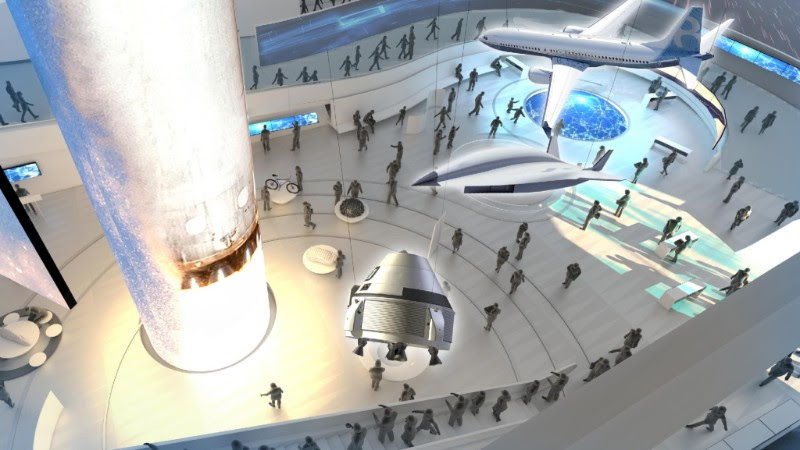 These flagship programs of the U.S. pavilion will recruit, train, and manage young leaders from across the United States, as well as alumni from U.S. Government exchange programs, who will help tell America’s story at the U.S. pavilion at Expo 2020 Dubai. Financial Management will be overseen by BTG CFO Thomas Downing, a leading expert in U.S. Government financial compliance and management. Working with Maryland-based accounting firm Gelman Rosenberg & Freedman, pre-eminent in advising and auditing organizations that implement programs for USAID and U.S. Department of State, Pavilion USA 2020 will operate under the most comprehensive set of financial controls ever implemented for a U.S. expo pavilion. Advising Pavilion USA 2020 are a diverse and talented set of leaders from across the United States and the U.A.E. They include former NASA Administrator The Honorable Sean O’Keefe; former U.S. Secretary of Commerce The Honorable Barbara Hackman Franklin; President of the Aldrin Space Foundation Dr. Andrew Aldrin; Executive Director of the Middle East Council of Gulf Chambers of Commerce Mike Jones; Director of TechStars Dubai Ramzi Ismail; former U.S. Ambassador J. Steven Rhodes; CPD’s Dr. Jay Wang; Director of NYU-Abu Dhabi Media Lab Matt Karau; Celebrity Manager and television producer Ken Kragen; and former Chairman of Columbia Pictures Television Herman Rush. Its Board of Directors include The Honorable Alonzo Fulgham, former USAID Administrator (acting); Dr. Joshua Walker, CEO of the U.S. pavilion at Expo 2017 Astana; The Honorable Alan Dunn of IP3; Julian Ha of Heidrick & Struggles; Andrew Hendricks of ExperiusVR; and philanthropist and advisor Theresa Behrendt, in addition to Mr. Bush.